A display ad is a type of online advertising that can appear in several different forms, including text, image, rich media, and video ads. The purpose of these ads aims anywhere from simple branding to driving traffic to your page to leading clicks into conversions. Display ads have a unique advantage over any other type of advertisement because if used effectively, a complete stranger could become a loyal customer in just a few seconds. 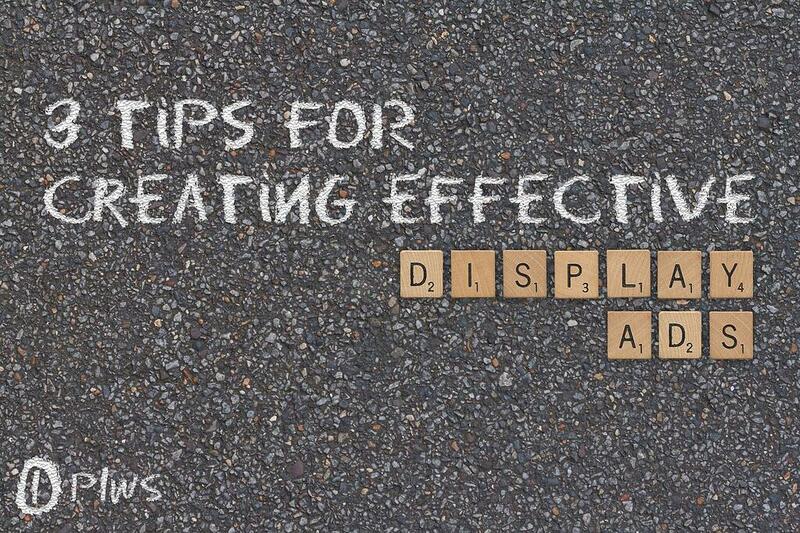 Here are some of the best tips you can find in order to make your display ad images more effective. Let's talk about first impressions. You go in for a job interview and want to look your best. It's the first time you're meeting people who may play an important role in your future. You need to sell yourself and the first thing that they're going to notice is your appearance. The same situation is likely to happen when viewers see your brand advertised online. In many cases, the viewer of your display ad may have never seen or heard of your brand. By presenting your advertisements with high quality images, you will likely make a good first impression. So what types of images should you use? Don’t use clip-art. Don't use images that belong to someone else. Don't use images with low bandwidth. Don't use images you copied and pasted from your neice's Instagram. Ever. You need unique, high quality images that both contribute to the message you are trying to relay to your potential buyers and promote your brand's authenticity. Looking to hire a professional photographer or investing in a high quality camera may be a great idea. In order to have an effective advertising campaign using display ads, you should come up with a style guide. This includes certain fonts you use, certain logos you use, and certain colors you use. This needs to be consistent. 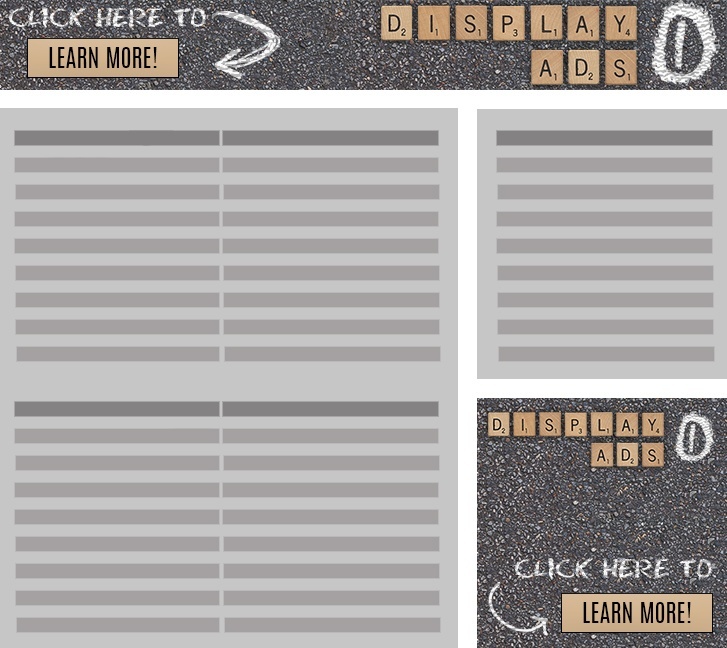 The most a display ad will get you at the very least is an impression. Impressions are important because they stick with the viewer. If they see your imaging again somewhere else, this will trigger their long-term memory for the first time they saw your ad. They will remember your branding if you keep it consistent and remember you for whenever they’re ready to buy a product or service that you offer. Below is an example of what consistent display ad designs would look like. If you've done an effective job with using high quality images and remaining consistent with your content, the viewer will see that your company has an excellent product or service. However, there needs to be something on your advertisement that either catches the viewer's eye or, even better, initiates a second move on the viewer’s behalf leading them to a landing page for your product or service. In other words, a truly effective ad is nothing without a call-to-action (CTA). A CTA is an instruction to your viewer that is intended to provoke an immediate response, ultimately helping your company to collect contact information and generate leads. In some cases, ads could do nothing but blend into a page if there isn't anything that implies "HERE I AM, LOOK AT ME, CLICK ME." Even implementing a CTA as simple as “Click here!” or “Find out more!” will help your viewer transform from a stranger into a customer. CTAs offer not only an efficient way to increase traffic to your page, but are also a great way to expand your presence on social media or remind existing leads of items they've recently viewed by means of simple display retargeting. Try out these tactics on your own display ad campaigns and see how successful your banners become. Notice an increase in clicks? Notice an increase in conversions? Let us know what you think and feel free to share your thoughts in the comment section below.